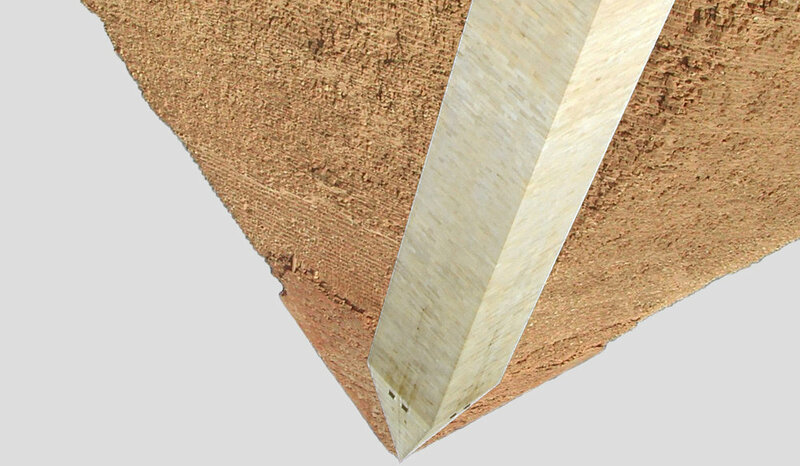 QUENCH, a collaborative video by Andrew Ellis Johnson and Susanne Slavick screens in Virtual Palestine at P21 Gallery in London on May 8, 2019. Protests and opposition movements have long been a social tool by which to mobilize groups of people around shared grievances, allowing them to collectively interrogate power structures and enact change through the discursive processes of resistance. Various forms of protest have been an important point at which resistance enters the public space and gains broader visibility, often through media images that become symbols of the movement. The images produced around protests and resistance movements – by artists, the media, or everyday documentarians – thus play a large role in shaping narratives for public consumption. 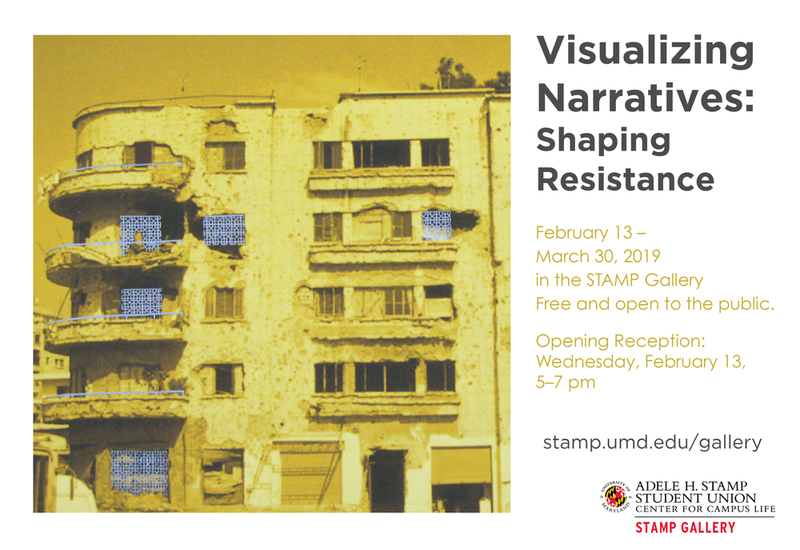 This exhibition at the Stamp Gallery seeks to explore the role of visual production around protests and forms of resistance. Featuring work by artists Becci Davis, Malik Lloyd, Leah Modigliani, Susanne Slavick, and the TUG Collection, this considers such questions as: How does the mass media visually shape narratives? 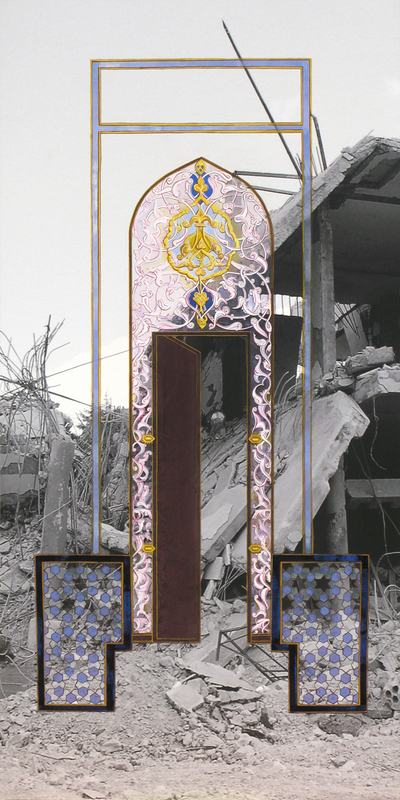 How does artwork respond to, reshape, interrogate, or blur these narratives? How does the visual response to protests and resistance movements by artists memorialize or historicize the events? RESORT and QUENCH are two recent collaborative video works by artists Andrew Ellis Johnson and Susanne Slavick that frame the global refugee and migration crisis through the lens of the sea. Professor Susanne Slavick will be presented the 2019 Distinguished Teaching of Art Award from the College Art Association (CAA)—the preeminent organization for professionals in the visual arts—at their annual conference in New York City in February. This prestigious award, given annually since 1972, honors an exemplary educator for which teaching and making art are inseparable. An accomplished artist and curator, Slavick believes that “art is an intimate and generous way to share what matters to us. At its best, it moves us to respond—to act.” She sees working with her students as a mutually empowering experience toward both personal and social transformation. 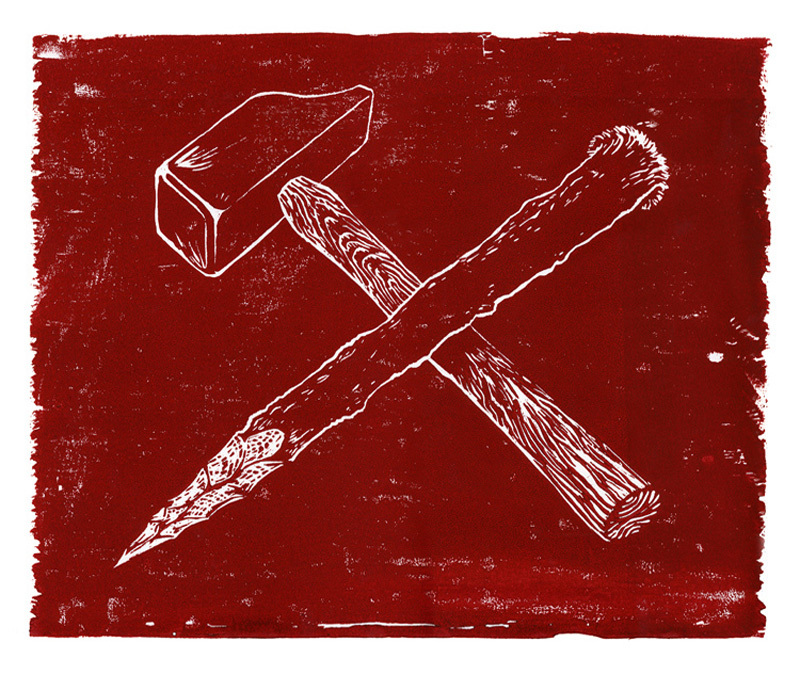 Slavick received an MFA from the Tyler School of Art at Temple University and a BA from Yale University. She began her tenure with CMU’s School of Art in 1984 after a three-year stint at the University of Wisconsin-Madison. She served as Head of School from 2000-06 and has held the title of Andrew W. Mellon Professor of Art since 2001. 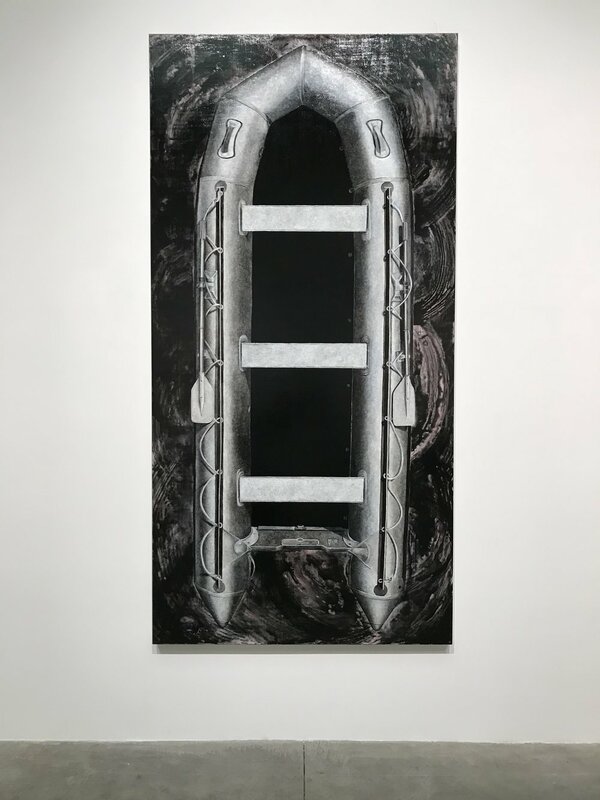 Slavick has exhibited her own work nationally and internationally, with recent solo shows at the Chicago Cultural Center, McDonough Museum in Youngstown, and the Bernstein Gallery at Princeton University. Her recent curatorial projects include: Marx@200 (2018); Unloaded (2015), a traveling multimedia exhibition exploring the impact of guns in our culture; and Out of Rubble (2011), a book and traveling exhibition featuring international artists who respond to the aftermath of war. The School of Art will honor Slavick at an alumni gathering on February 15 from 7:00 to 9:00 p.m. at PPOW Gallery in New York City. School of Art alumni and friends of Susanne can RSVP for the party here. Susanne Slavick presents Disarming Arms on this panel organized by Annie Dell’Aria at the College Art Associations 107th Annual Conference. With mentions of works by Mel Chin, Vanessa German, Jenn Meridian, Devan Shimoyama and others. And Unloaded artist Adrian Piper's work is reproduced in the Portfolio of Artworks compiled by Faye Gleisser and Delia Solomons. 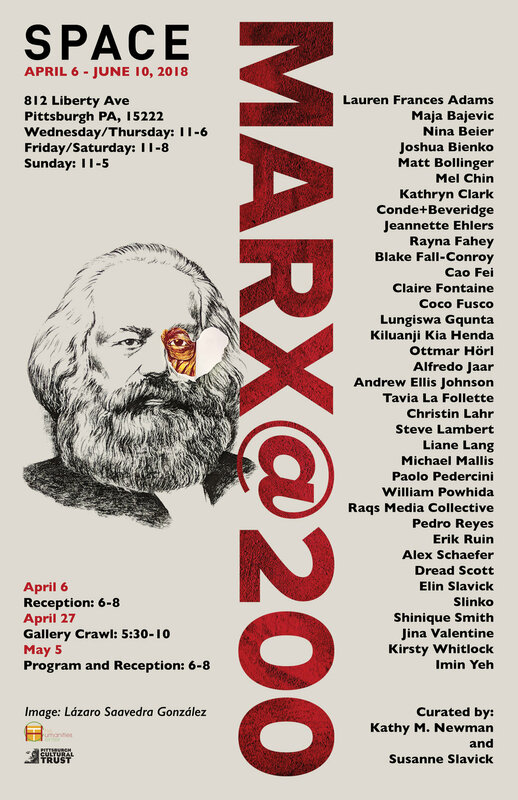 A review of Marx@200 by Izabel Galliera in Journal of Curatorial Studies, Volume 7 Number 2, 2018. PACE, a video collaboration by Andrew Ellis Johnson and Susanne Slavick was included in INFINITY, a Skowhegan Alliance Video Screening in NYC on October 14, 2018. 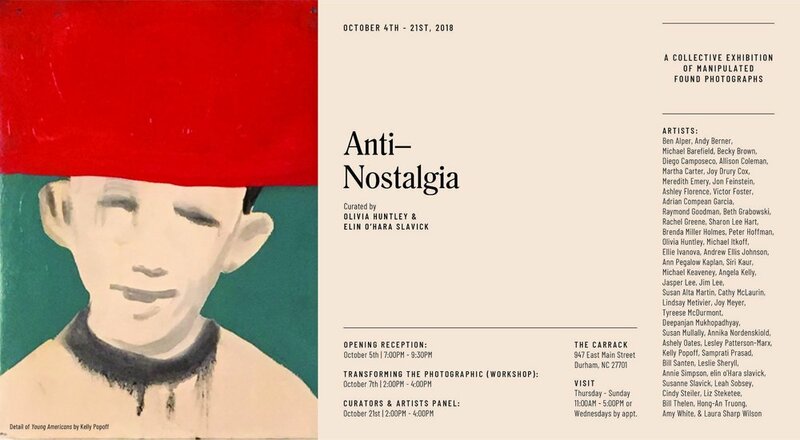 Anti-Nostalgia is a group exhibition of artists invited to create works utilizing found photographs. Artists explore: our relationship to the photograph as an object; memories and sentimentality; history and the familial; the vernacular and the archive; and alternative and interventionist narratives. A photograph provides both a historical and unattainable reality. Anti-Nostalgia investigates how our attraction to and/or repulsion by found photographs does not come from nostalgia, but comes from a desire to confirm, deny and transform a reality. Theorists argue that nostalgia can be a form of fascism - a longing for a glorified past that leads us down an authoritarian path. Anti-Nostalgia is a topical and critical approach to our current global situation, an attempt to draw attention to the way we read, feel, understand and use imagery in the name of ideology and personal whim. 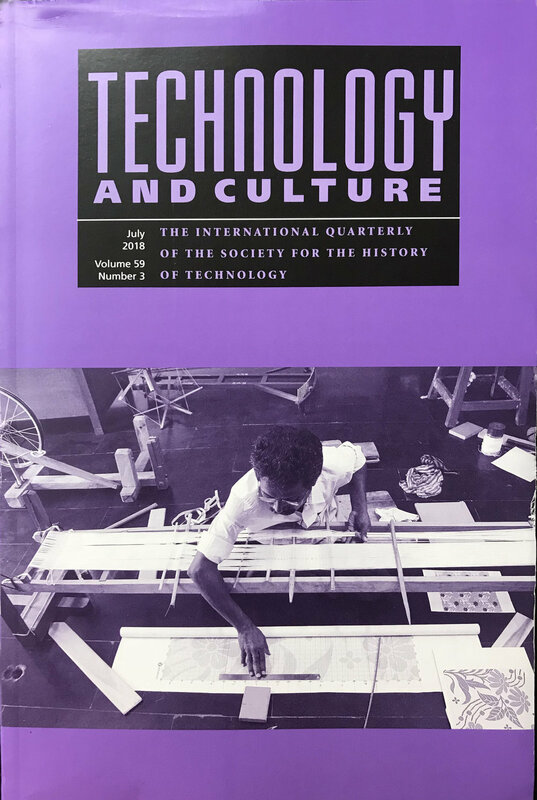 Shared my curatorial experience with UNLOADED in "DISPLAY OF ARMS: A Roundtable Discussion about the Public Exhibition of Firearms and Their History" in Technology and Culture, published by Johns Hopkins University Press and edited by Jennifer Tucker. In conversation with Glenn Adamson, Jonathan S. Ferguson, Josh Garrett-Davis, Erik Goldstein, Ashley Hlebinsky, and David D. Miller. The John J. McDonough Museum of Art, on the campus of Youngstown State University opens the fall season with RESORT, a traveling exhibition of works by Andrew Ellis Johnson and Susanne Slavick. It accompanies Sanctuary, an exhibition of paintings by John Guy Petruzzi. Both shows will be on view in the galleries September 7 – October 26 with an opening reception on Friday, September 7 from 5-7pm. Susanne Slavick and Andrew Ellis Johnson will give a gallery talk on the evening of the reception beginning at 5pm. In conjunction with RESORT, there will be several screenings from New Immigrant and Refugee Visions, produced by Community Supported Film. A preview screening will take place on Friday, September 7, 6-7pm. Additional screenings will take place from 12:30 to 1:30pm on September 11,14, 25, 28 and October 9, 12, 23 and 26. New Immigrant and Refugee Visions is a collection of documentary films made by new immigrants that provide unique insider perspectives on both the challenges of integration and the contributions immigrants make to our culture, economy and social fabric. 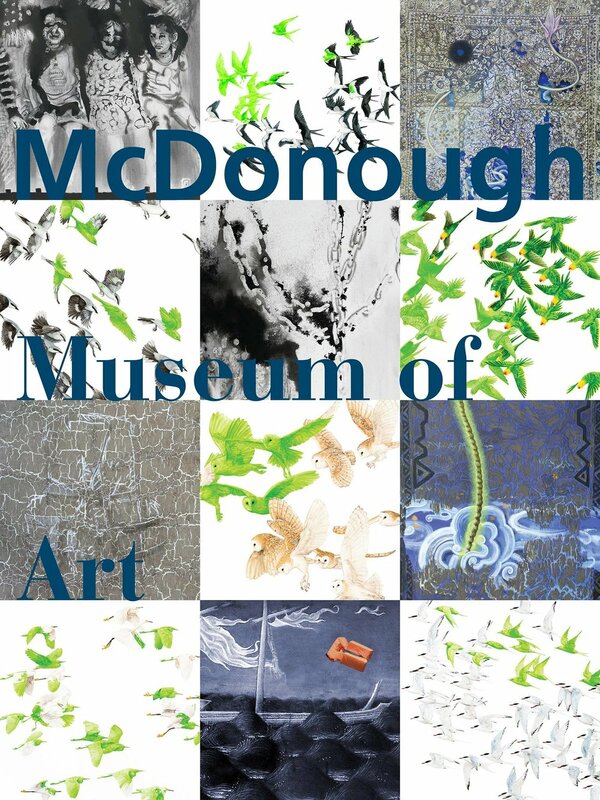 McDonough galleries are open Tuesday through Saturday from 11am until 4pm. 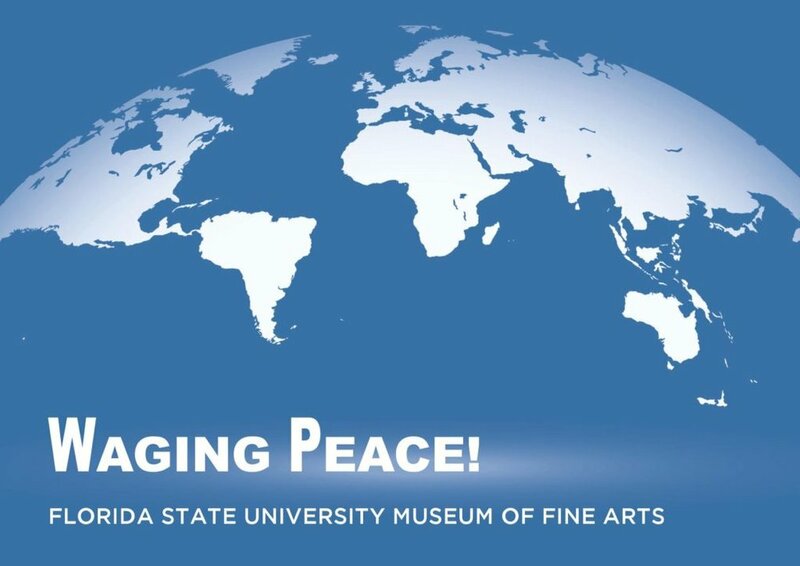 The Museum is open to the public and admission is free. The Cantilever Gallery at The Westmoreland is brimming with contemporary artworks created in a broad range of mediums—painting, sculpture, photography, video, stained glass, installation and mixed media. 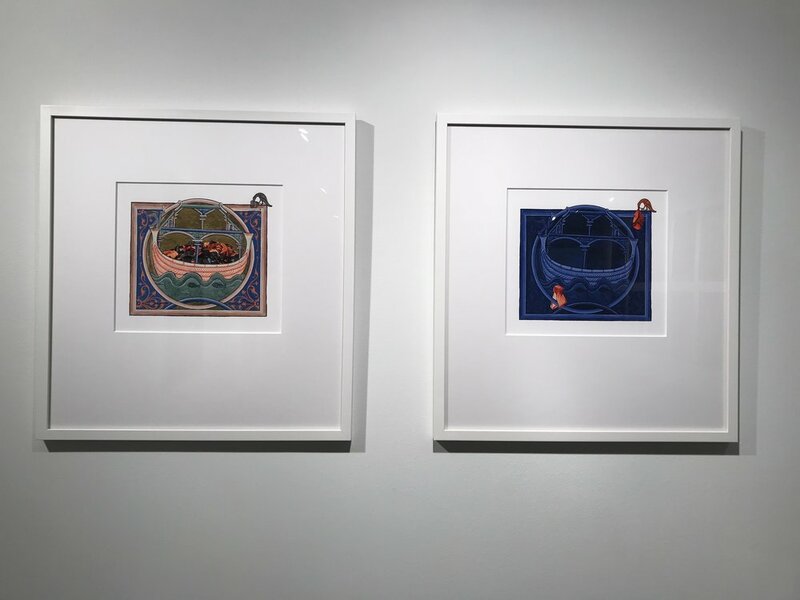 While the works themselves explore diverse themes using various techniques and materials, each of the artists in this exhibition share one thing in common—they all teach at one of the numerous colleges and universities in our region. 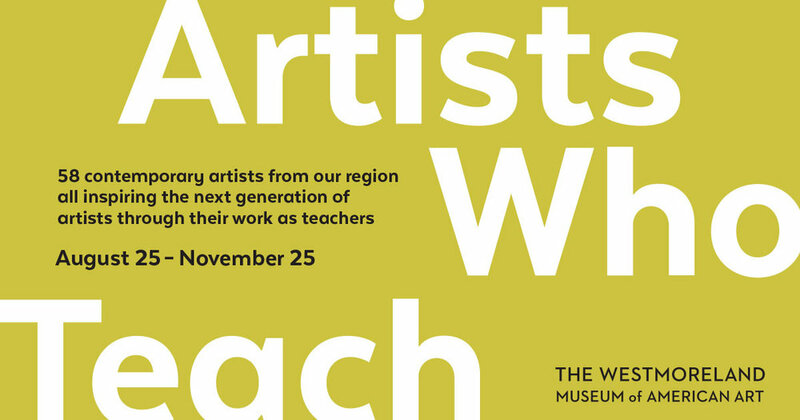 Artists Who Teach celebrates the incredible talent and broad range of art making in this region today. The 58 artists in this exhibition are all inspiring the next generation of artists by teaching at Carlow University, Carnegie Mellon University, Chatham University, Indiana University of Pennsylvania, Robert Morris University, Seton Hill University, Saint Vincent College, University of Pittsburgh/University of Pittsburgh-Greensburg and Westmoreland County Community College. The convalescing Cedar of Lebanon in Recuperation simultaneously embodies bleak realism and hopeful romanticism. It is a metaphor for the damage we do to ourselves and how we try to recover. In the daytime version of the painting, pale atmosphere alternates with raw flesh color, suggesting both cruelty and compassion. In the nighttime version, the tree’s amputated limbs are silhouetted against a deep blue vapor. In 2006, I visited Isola Bella on Lago Maggiore in Italy. That summer, the gardens were in disarray. A freak tornado had torn it apart and uprooted an ancient Cedar of Lebanon. Maintenance workers and gardeners had propped up this huge specimen with pulleys, slings, and guy ropes. Bandages wrapped fractured and stumpy limbs and sprinkler systems were suspended high amongst its branches in hopes for resuscitation. At the time these paintings were made, it was not known if the cedar would survive. I photographed this poignant spectacle partly because it coincided with my prior research into landscapes of ruin, especially those devastated by war. That summer, the world watched as the 2006 Lebanon War decimated the country, all while the larger war in Iraq raged. The Lebanese town of Qana was attacked for the second time in a decade and suffered extraordinary numbers of civilian deaths, lives that could never be resuscitated. Co-curator Kathy Newman writes on Marx@200 and some lessons on the politics of commemoration for Public Seminar. A review by Matthew Friday of Marx@200 in The Brooklyn Rail, June 5, 2018. 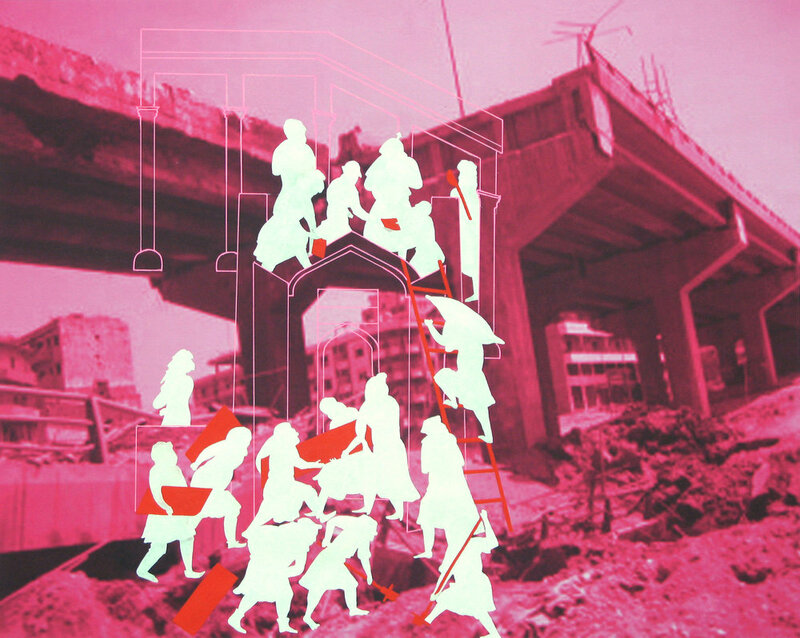 Reconstruction (Magenta Beirut), 2007, gouache on archival digital print/Hahnemühle paper, 16 x 20 inches. Artists: Lauren Frances Adams, Maja Bajevic, Nina Beier, Joshua Bienko, Matt Bollinger, Mel Chin, Kathryn Clark, Condé + Beveridge, Jeannette Ehlers, Rayna Fahey, Blake Fall-Conroy, Cao Fei, Claire Fontaine, Coco Fusco, Lungiswa Gqunta, Kilouanji Kia Henda, Ottmar Horl, Alfredo Jaar, Andrew Ellis Johnson, Tavia LaFollette, Christin Lahr, Steve Lambert, Liane Lang, Michael Mallis, Paolo Pedercini, William Powhida, Raqs Media Collective, Erik Ruin, Alex Schaefer, Dread Scott, Elin Slavick, Slinko, Shinique Smith, Jina Valentine, Kirsty Whitlock, and Imin Yeh. Judith Rae Solomon Gallery at Youngstown State Universit in Ohio. March 26 through April 20, 2018. A second screening event occurs on April 16, 2018 from 6pm-8:30pm at the CMI Theater Milton Hall 171 on the campus of NMSU. Sponsored by the Gender & Sexuality Studies, Interdisciplinary Studies Department, and the Creative Media Institute.